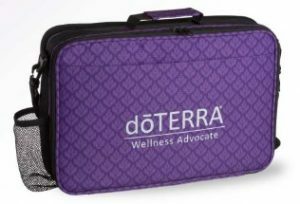 Effortlessly carry and display your essential oils with this professional, portfolio-style presentation case! 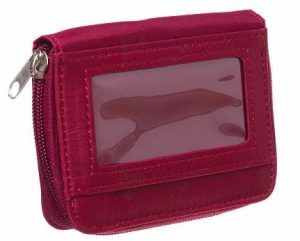 The durable yet elegant microfiber fabric comes in bold, contemporary colors. 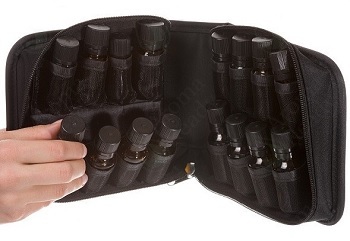 Inside mesh pockets hold vials securely in place and make it easy to identify each oil. Tilt-out rows allow easy access to oils in a compact space. 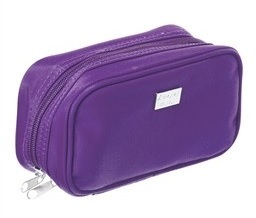 Features: Holds 16 vials, 5–15 ml in size. 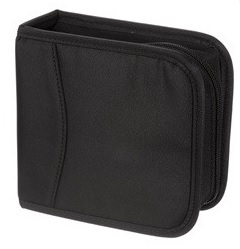 Dimensions: 16,5 x 15 x 8 cm.